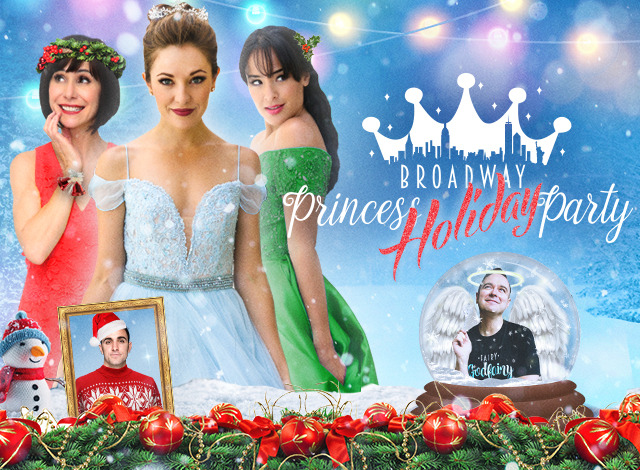 Brush off your tiara and unleash your inner princess with Broadway’s original Cinderella, Belle and Jasmine in this hit concert, direct from NYC! Two-time Tony-nominee Laura Osnes (Rodgers and Hammerstein’s Cinderella), Tony-nominee Susan Egan (Disney’s Beauty and the Beast and voice of ‘Meg’ in Hercules), and Grammy-nominee Courtney Reed (Disney’s Aladdin) host the festivities alongside their Fairy Godfairy (musical director extraordinaire), Benjamin Rauhala (Broadway’s Fiddler on the Roof) and special guest Prince Adam J. Levy (Dave, the Musical).